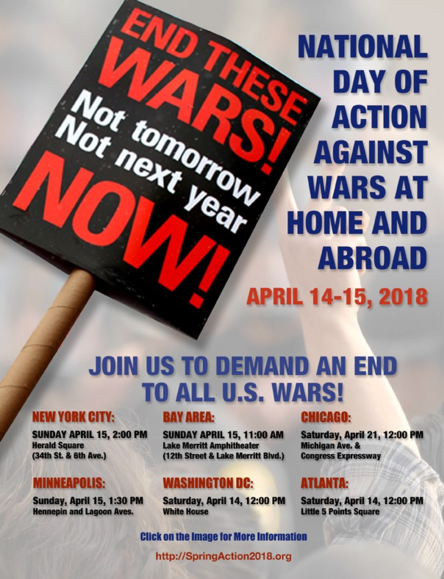 MOUNT DORA, Fla., April 6, 2018 /PRNewswire/ — A peace demonstration, part of the National Day of Action Against Wars Home and Abroad, is scheduled for Saturday, April 14, 2018, in Mount Dora, Florida. 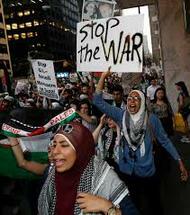 Lake County’s “Stop the Wars” sign waving and demonstration begins at 12 p.m. at HWY 441 and Donnelly Street. Attendees are encouraged to bring colorful signs to the demonstration. To learn more, visit SpringAction2018.org or follow the Green Party of Lake County on Facebook. SpringAction2018 is a website that highlights upcoming peace demonstrations across the United States as well as provides resources on the impact of wars around the globe. For more information, visit SpringAction2018.org.